Convenient for end users and smart for manufacturers, Innovia Blinds inside the IGU delivers true innovation and consistent performance. Choose from a variety of colors to create your perfect blinds between the glass. Add muntins or a v-groove to your insulating glass unit with blinds between the glass. Select from a wide variety of glass products from leading manufacturers. Blinds remain virtually dust-free in a sealed insulating glass unit. Lift and tilt blinds with a single operator. Self-leveling along with patented lower-gear anchor self-tightens during normal operations. Compliments your entire window product family. Please contact our sales team to learn details of Innovia’s sizes. If you are an existing customer of Intigral, you can find our quality specifications under the customer portal section of our website. If you are a new customer, please fill out our form and we will be in contact with you shortly to provide specifications. 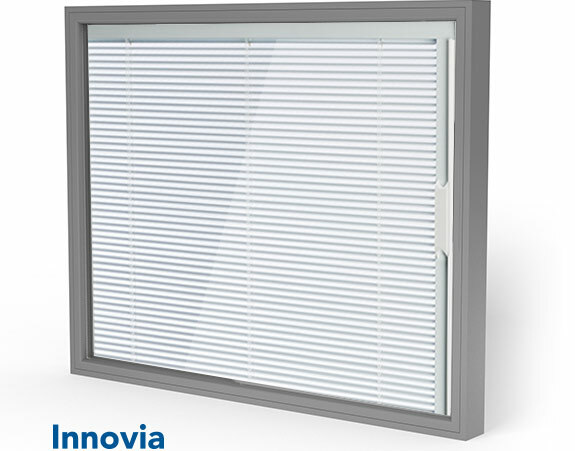 Ready to learn more about how and where to purchase Innovia blinds, or get more information on manufacturer specifications? Our dedicated sales team will be happy to assist you.